Phoenix Comic Con Schedule - I'm so excited! Thr - June 2 - Robin and my 32nd Wedding Anniversary! Mon - June - 6 - 7:00 AM- leaving on a jet plane to head back to DC. Hello all, Robin here. 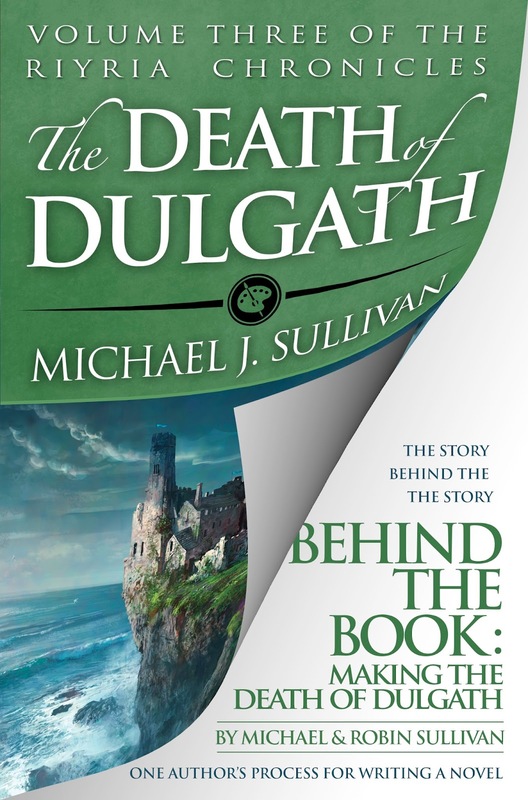 As many may know I've been the bottleneck in the production of the behind the scenes book about the making of The Death of Dulgath. There are numerous reasons for this: shipping times for the Kickstarter, proofing of Age of Myth (soon to be released), yearly income tax preparation, and the fact that I'm the general manager for building a cabin about an hour and a half from our house. I kept letting other projects jump ahead of this project, but as weeks became months I finally decided that I just had to push through this. So, I'm proud to announce that the book is finally ready! 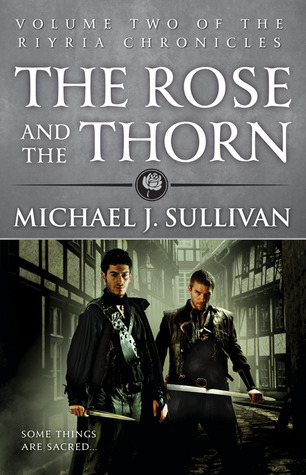 For those that don't know, this is a free ebook that came about as one of the goals of The Death of Dulgath Kickstarter. Michael and I have been compiling a wait list and we will be going through it in the next few days and sending out copies. For those who aren't on the wait list, well you, too, can get your very own copy of this. It's free, and all you have to do is send us an email (michael.sullivan.dc@gmail.com). Please put BEHIND THE BOOK: Making The Death of Dulgath as it'll be easier for me to see it. Just one thing you must know. This behind the scenes look at writing and publishing is written specifically to be a companion for The Death of Dulgath. Because of this it's riddled with spoilers. So finish up your reading of the main book first, then you can read this one. Today is an AMA day! Don't know what that is? Well it stands for Ask Me Anything and today's AMA will be held on reddit's /r/books sub. I'll start answering questions at 7:00 PM, but you can post questions now and check back later for the answer. Because I'm a hybrid authors, my AMA often get questions on publishing, the industry in general, or the various "business type" questions - and I love answering them. Heck, I love answering all kind of questions. What I don't like is sitting there listening to crickets ;-). So if you have a question and haven't taken advantage of all the other ways to ask it (email, Goodreads, Twitter, etc). Please head on over and post one there. I'd love to hear from you. Age of Myth a Featured Pre-order! Hey all, thanks to everyone for enthusiastically pre-ordering Age of Myth. As I've mentioned in the past, seeing some early traction really helps to get some extra "loving" from the publishers and retailers. 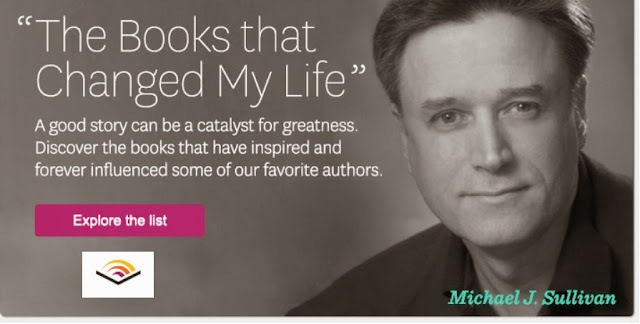 In fact, it's currently featured on the homepage of Audible.com!! This is a pretty big deal, right along side Stephen King, Brad Meltzer and Clive Cussler. I almost look like a "real author"! I know looking at this list I used a couple of credits ;-) And, remember if you have pre-ordered your copy of Age of Myth don't forget to fill out this form so you can receive the pre-order bonus materials! People seem to really be enjoying the pre-order promotion. Robin will provide me with an update on numbers soon. Want to share Tim Gerard Reynolds and Riyria with your friends for free? Here's how! Audible has announced their new program that gives you the ability to send an audio book to a friend ,and it's absolutely free for both you and your loved one. This is a great way to introduce the Riyria audio books to someone you care about. Full details can be found here. For those that don't want to read all the FAQ's here's the nutshell version. 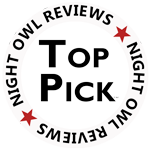 You send recommendations of audio books you have loved to your friends and family. If they haven't already redeemed a free audio book from someone else, they get it for free. The person you send it to doesn't have to be a current Audible Member. After receiving the book, your loved ones can pay it forward and pass it on to others as well! Recommended books can be redeemed at any time - they never expire. The book you send doesn't leave your library so you both can still enjoy it. Books that are shared and redeemed stay in the person's library indefinitely. I LOVE this new feature. What a great way to introduce others to audio books you love? I hope you'll include any of my audio books when sending recommendations to your favorite people. Have you pre-ordered Age of Myth? Get your free bonus material! 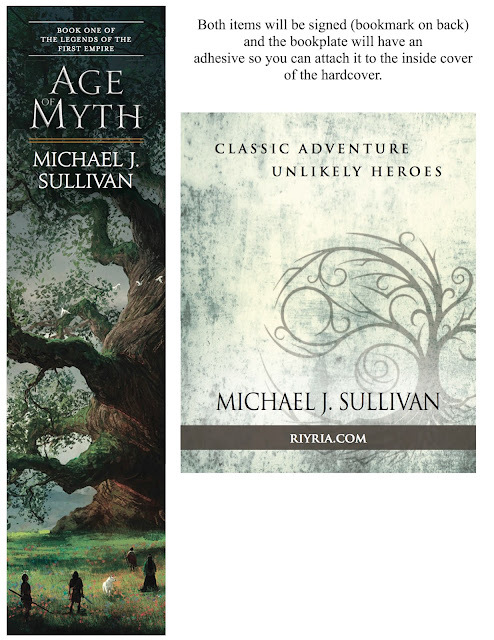 Hey everyone, today I'm pleased to officially open the Age of Myth pre-order bonus program! Some of you might already be familiar with it, but in case you aren't here's the deal. Pre-order sales count as first-week sales, and it's this all important debut week that gives a book the best chance of hitting a major best-selling list like the New York Times or USA Today. Now, that's what I get...but I want a win-win for both readers and writers, so I (and Del Rey) have put together a nice package to reward you for pre-ordering the book. It's like getting Kickstarter perks without a Kickstarter! If you are outside the US, and still want the bookplate and bookmark, I'll gladly send them to you if you cover $3 for the postage and handling. Here is a link to order them. That's it. We'll take care of the rest. Oh, and if you have ordered a signed copy directly from my website, you don't to do anything. Your book will be signed and personalized based on the instructions you provided, and you'll have a spare bookplate to do with as you will.